We place a particular importance on hiring only the best because we know that the key to our patients’ satisfaction is our staff. From our primary care physician to our receptionist, every person at SunSouth Medical Center is here to make your visit a more convenient, friendly and effective appointment—because our goal is to treat you like family. 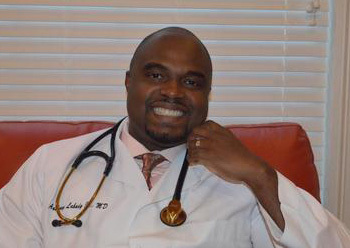 Dr. Labady attended Oakwood University in Huntsville, AL as an undergrad, continuing on to medical school at the Ohio State University School of Medicine in Columbus, OH. He returned to Georgia to complete his residency at the Columbus Regional Medical Center in Columbus, GA and has now been serving patients for more than a decade. Passionate about what he does, experienced and ready to serve, see what Marrow’s Top Rated Local® primary care doctor can do to help! Our nurses and medical assistants all come to you highly trained and dedicated to providing only the best for every patient. We focus on hiring friendly and caring staff members, as well as nurses and M.A.s who understand how to work with children. In this way, SunSouth Medical Center can be your entire family’s go-to primary care provider. Highly trained, experienced, and ready to help, contact our staff today, and learn more about them now! At SunSouth Medical Center, we believe that real healing is about the people, not the medicine. Isn’t it time that you felt your very best?